The U.S. Patent and Trademark Office today granted Apple a patent, which outlines a technology that would allow for the screen of a device, such as an iPhone or iPad, to read fingerprints. 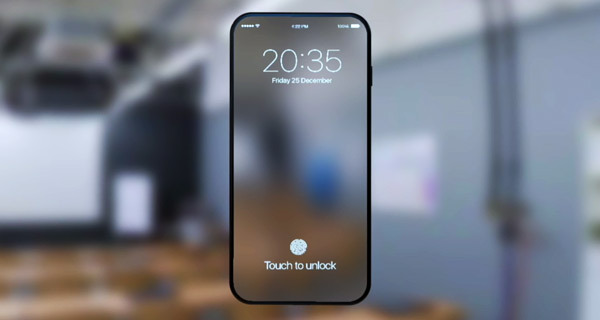 With rumors continuing to percolate that suggest Apple’s upcoming iPhone 8 will feature a display that fills the front of the device, the necessity for the removal of the device’s Home button would suggest that such a technology would be required if Apple is to keep the Touch ID fingerprint sensor on the front rather than the rear of the iPhone in question. While the patent itself is interesting, the fact that it is a reallocation of an existing patent rather than a completely new one should not be overlooked. LuxVue, the patent’s former owner, was acquired by Apple back in 2014 with little fanfare. LuxVue’s claim to fame prior to the buyout was the fact that it developed low-power microLED-based displays. The newly reallocated patent, titled “Interactive display panel with IR diodes,” details a touch display that uses microLED-sensing technology. What’s notable in that traditional active matrix hardware is the technology that is normally used by most consumer smartphones and tablets. 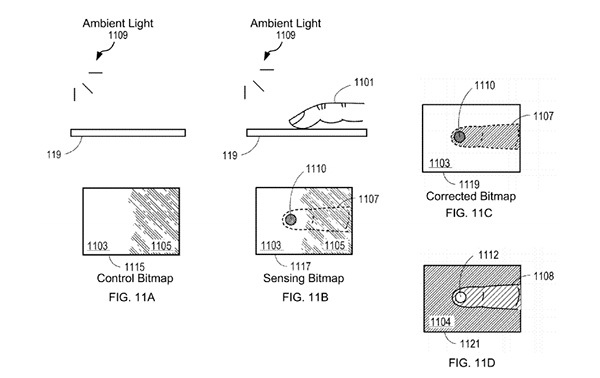 The patent goes on to outline some uses for the technology, including one in which a microLED display with a higher density of interactive pixels could be used in certain areas of the screen. This would be particularly useful in an application such as where a virtual home button may be placed on an iPhone’s front panel. If that option doesn’t suit Apple’s plans, the same pixels could theoretically be used throughout the entirety of the display, making it possible for fingerprint identification on any area of the screen. If Apple wasn’t so heavily rumored to be working on bringing an iPhone to market with such a huge display size in a relatively small chassis, then this patent might not have garnered so much interest, but with the iPhone 8 roundly expected to offer something special this year, we would not be at all surprised if this patent is giving us a glimpse into what Apple’s next flagship iPhone will bring to the table.